Fabulous Equinox Workshop Last Night at Golden Bridge! And here is our last session of Chakra Study at Open Center NYC last week with Kent as guest musician (he is a bit dark in the corner! 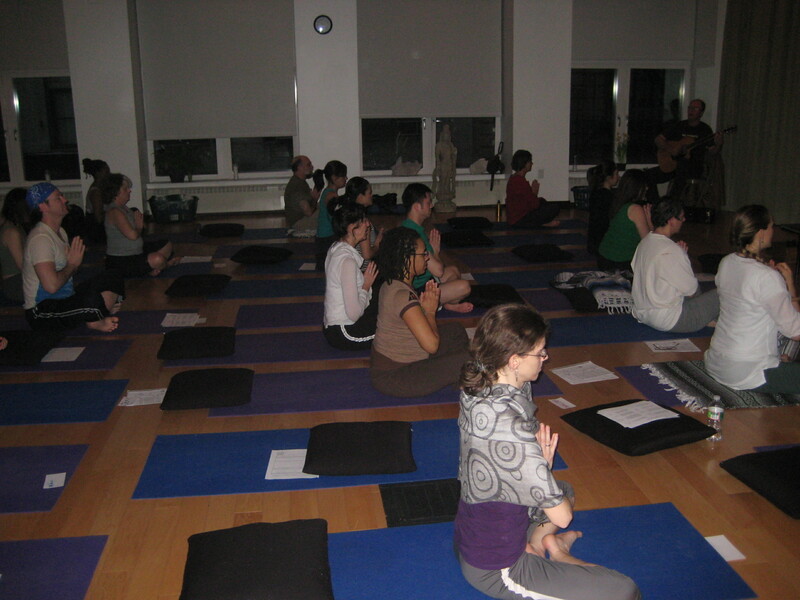 )..off to Long Island Yoga Assn April 10 to teach a workshop after Easter Retreat at Sewall House! Looking forward to our FULL season in Maine starting in MAY, please come join us anytime! Belly Dancing again in July! July 23-26! Only $100 plus accommodations. SEWALL HOUSE HAS A FACEBOOK PAGE NOW! Please join!